Danny Granville. This is a terrific A4 colour full length picture of Danny Granville the former Chelsea footballer. The picture is taken from a SOCCERSTARS football album of the time and shows Danny Granville in full length action. 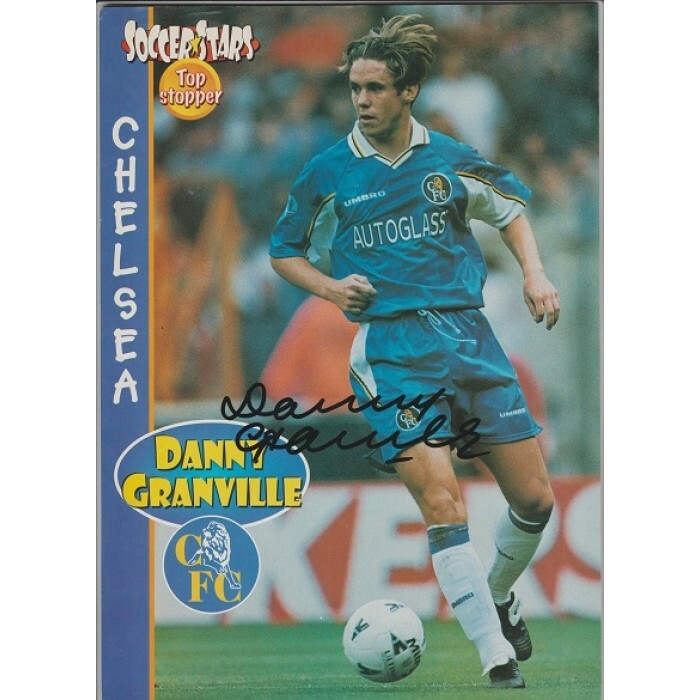 Granville played only 18 leagues games for the Blues, arguably the highlight of his career occurred during his time at Chelsea, playing in the winning side in the 1998 UEFA Cup Winners' Cup triumph over VfB Stuttgart. It was earlier in that campaign that Granville scored his only Chelsea goal, against Slovan Bratislava. This hard to get picture has been beautifully hand signed using a fine black sharpie.